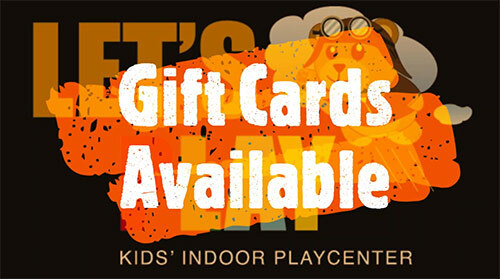 Walk in with a pair of socks, sign the Let's Play waiver and let the play and fun begin. Invited to an event/party at Lets' Play? Sign the Let's Play waiver to join the event. Planned and confirmed your event at Let's Play? Sign in to create and send your Evite. Let's Play hosts Sensory Friendly Night the second Tuesday of each month from 5pm-7pm. During these times we will be limiting the lights and noise inside Let's Play. We will be closed to the general public for this event, so be sure to mention "Sensory Friendly Play" upon arrival. Entry will be $8 plus tax per child for the two hours of play. Two adults are allowed free with each paid admission, additional adults are $5 plus tax. We require both children and adults to wear socks inside our facility.